Viewing 24 of 147 items. 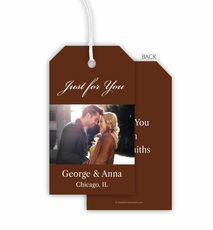 Add your personal touch to your Holiday gifts with this set of paper gift tags with fully designed back. Sized 3.5" x 2". Your choice of design color. 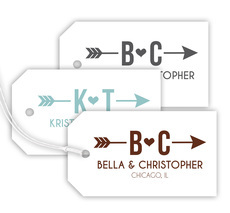 Flat printed in ink color and typestyle..
Add your personal touch to your gifts with this set of paper gift tags. Sized 3.5" x 2". 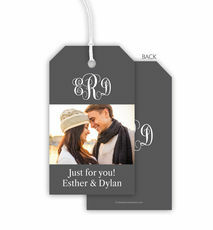 You select gift tag design color. Flat printed in ink color and typestyle as shown. 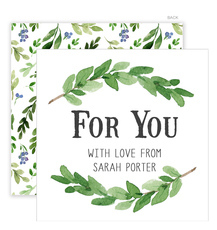 Back of gift tag will be..
Add your personal touch to your gifts with this set of paper gift tags. Sized 3.5" x 2". 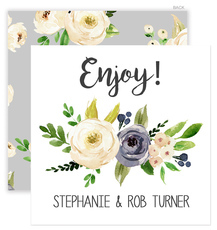 You select gift tag design color. Flat printed in ink color and typestyle as shown. 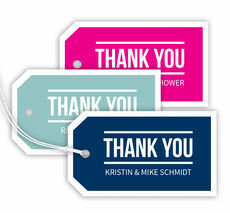 Back of gift tag..
Add your personal touch to your gifts this season with this set of colored paper gift tags. Sized 2.375" x 4.75". Flat printed in ink color as shown. Your choice of typestyles. Positioning only as..
A Stationery Studio exclusive! 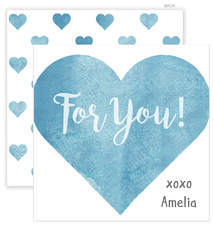 Set of enclosure cards with your personalization flat printed in ink color as shown. Enclosures come with a full printed back as shown. Size 2.5" square. Your choice of.. The most adorable party favors are now easier than ever. 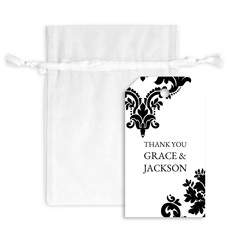 Product includes white organza drawstring bags plus a set of personalized gift tags ready for use. A hole will be drilled into your tags so the..
Add your personal touch to your gifts this season with this set of paper gift tags. Sized 2.375" x 4.75". Flat printed in ink color as shown. Your choice of typestyles. Positioning only as..
Set of 25 foldover enclosure cards with your personalization flat printed in the ink color as shown. Size 2.5" x 3.5". 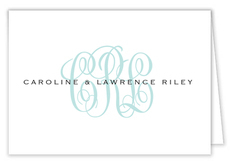 Monogram style as shown with your choice of typestyle. Optional blank..
Add your personal touch to your Holiday gifts with this set of paper gift tags complete with fully designed back. Sized 2" x 3.5". Your choice of design color. 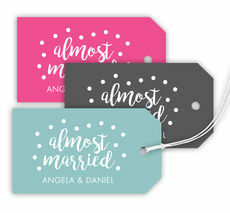 Flat printed in ink color and..
Add your personal touch to your gifts with this set of paper gift tags with fully designed back. Sized 3.5" x 2". Your choice of design color. 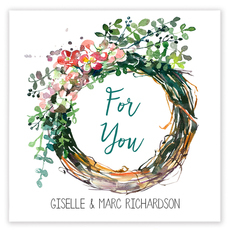 Flat printed in ink color and typestyle as..
Add your personal touch to your gifts this season with this set of chipboard colored paper gift tags. Sized 2.375" x 4.75". Flat printed in ink color as shown. 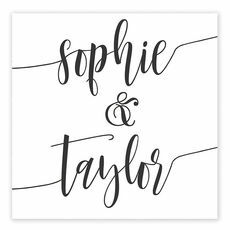 Your choice of typestyle for monogram..
Add your personal touch to your gifts this season with this set of paper gift tags. Sized 2.375" x 4.75". Flat printed in ink colors and typestyles of your choice. 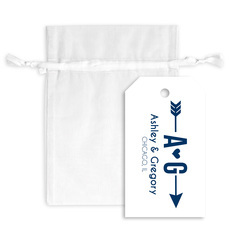 Positioning only as..
Add your personal touch to your gifts with this set of paper gift tags. Sized 3.5" x 2". Flat printed in ink color as shown with your choice of typestyle. Gift tags come with a full printed..